We complete our trio of hidden beauties marking the golden anniversary of the Friends album with When A Man Needs A Woman. The fifth track of the album is Brian’s ode to the facts of life just at the point he became a father for the first time (Carnie Wilson was born in April 1968.) 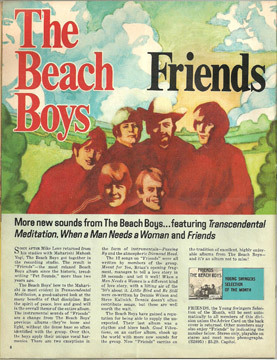 Like just about the entire Friends album , the song reflects the “transcendental” era of the joys of daily life, with suitable light musical background and harmonies. This entry was posted on Wednesday, July 4th, 2018 at 6:06 pm	and is filed under Beach Boys, Brian Wilson, Brian's Hidden Beauties. You can follow any responses to this entry through the RSS 2.0 feed. You can skip to the end and leave a response. Pinging is currently not allowed.